Hereford had to settle for a share of the spoils at Leamington this afternoon despite taking the lead twice in the game. 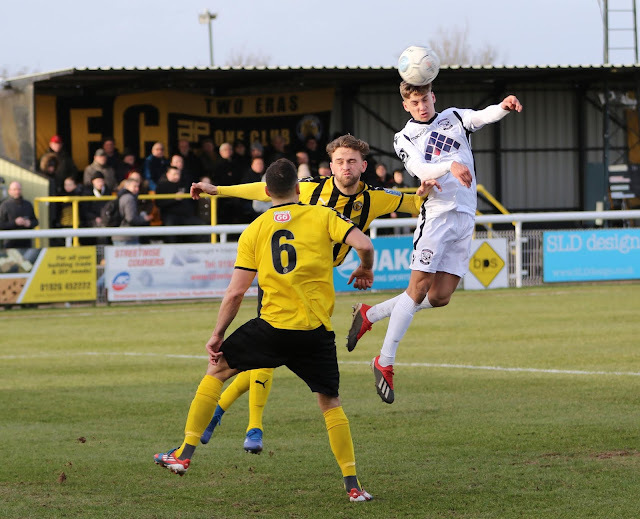 Jack Edwards' goal for the hosts on the stroke of half time cancelled out James Waite's opener after 33 minutes, but a penalty in first half stoppage time meant Tom Owen-Evans could retake Hereford's lead going into the break. 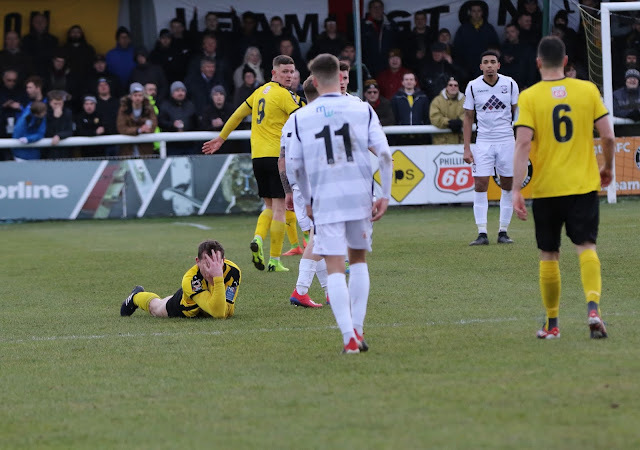 In the second half James Waite was shown a straight red when he caught his man with a flailing arm, with things going from bad to worse as the second penalty of the game went Leamington's way, duly dispatched by Colby Bishop. 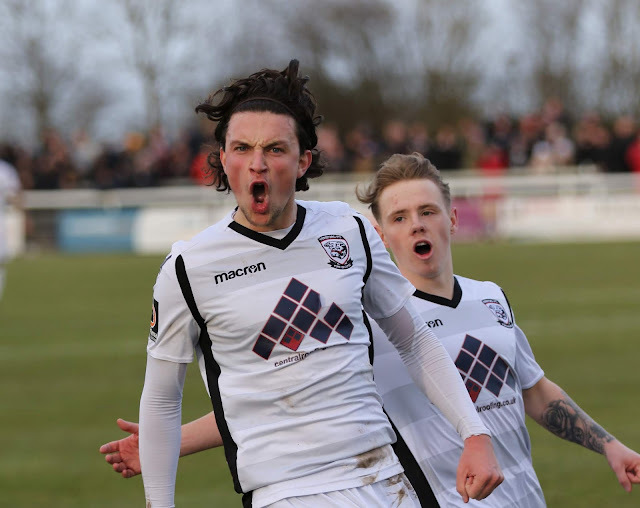 There was one change made to the side that started on Tuesday night at York City as James Waite came in for Harvey Smith as Hereford started in a more favourable 4-4-2 formation. An early injury concern for Hereford saw captain Josh Gowling go down after a knock to his head, but after treatment from physio Jonny Evans he was okay to continue. 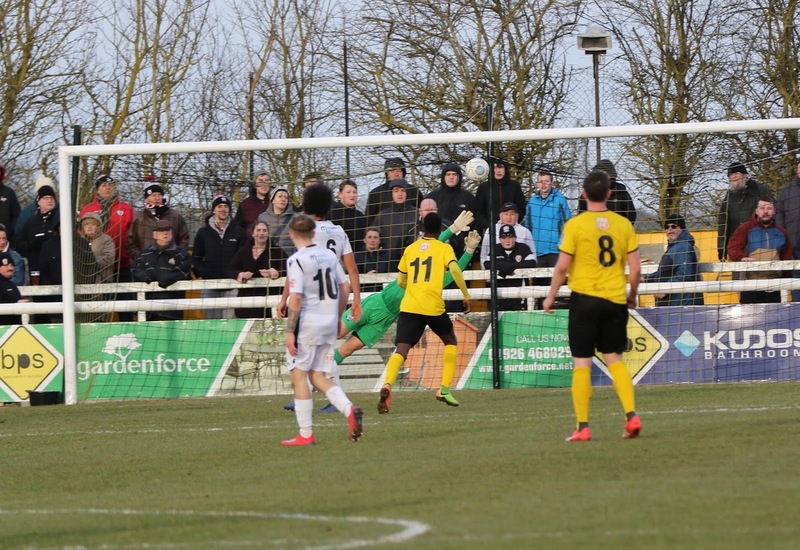 In the seventh minute Hereford were under pressure as Leamington broke forward. 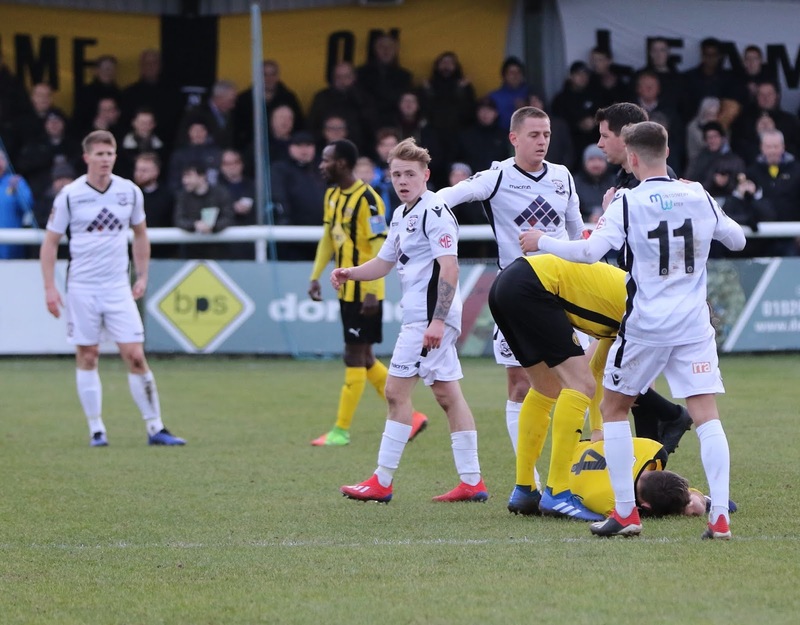 An initial shot from Colby Bishop was smothered by Matt Yates after he rushed off his line, recovering in time to collect Jack Edwards' shot from the right of the box at the foot of the near post. 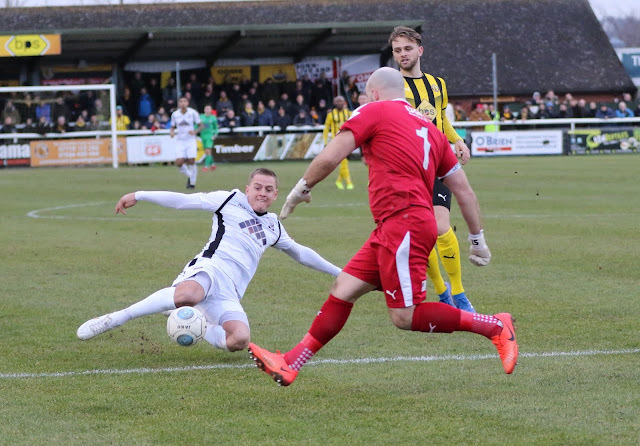 The Bulls seemed to struggle getting forward in the opening 15 minutes or so of the game, with Keiran Thomas ending up in the referee's notebook as he got into a tangle with centre-back Jamie Hood as he made progress down the right wing. Back on defensive duties, Marc Richards' side could only half-clear a number of probing balls into the box, but thankfully Ahmed Obeng's shot went well-wide at the far post. 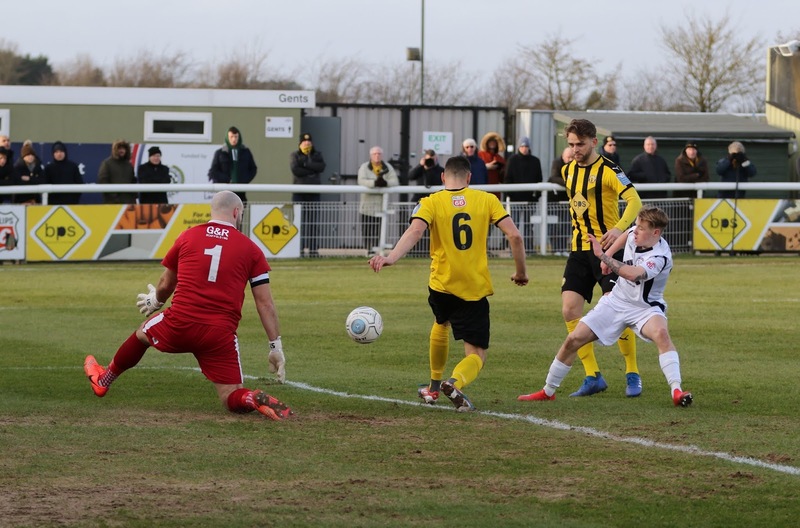 Yates was then called into action in the 12th minute to deny Colby Bishop's header from a swirling ball into the box, but the Derby County youngster claimed it underneath his crossbar. 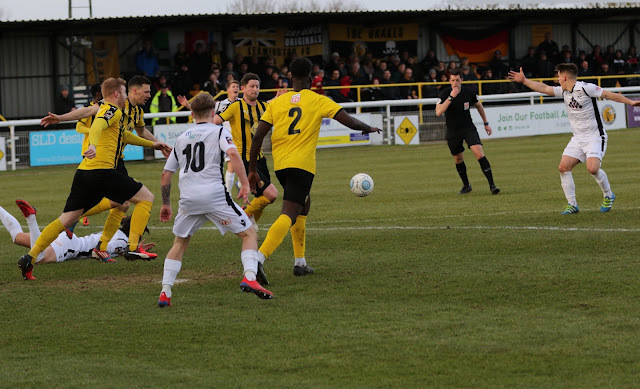 Another big chance for the hosts really should've seen them take the lead, but Obeng saw his shot from 12-yards deflected wide and behind for a fruitless corner. 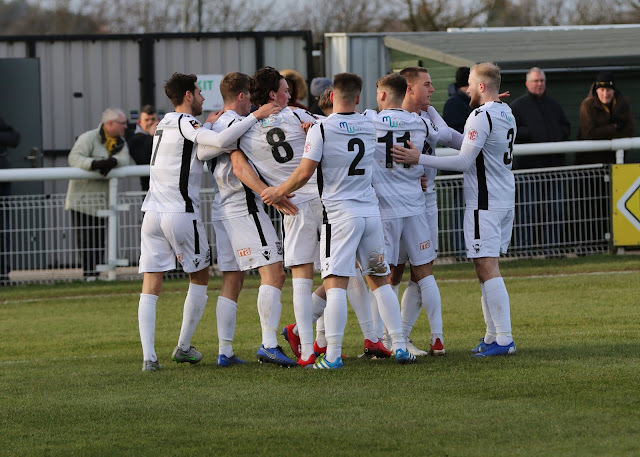 As the half hour mark approached, Hereford seemed to find a new lease of life and had a number of chances before they took the lead. 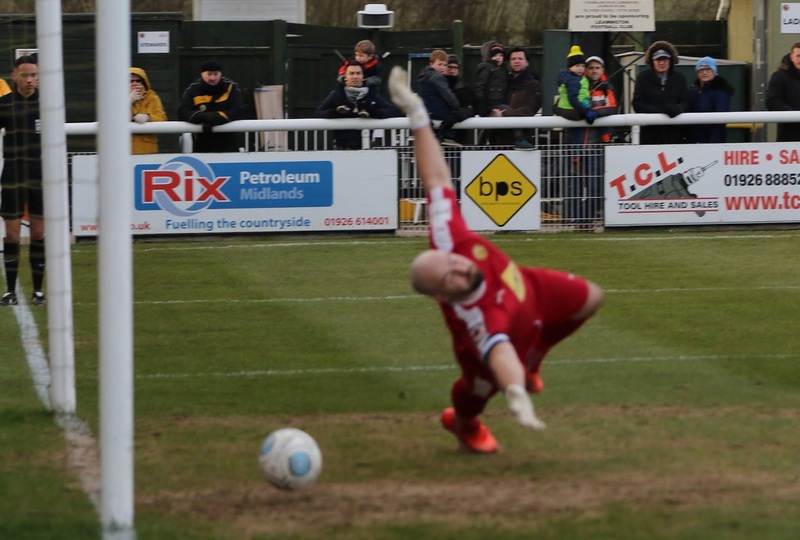 Eliot Richards had great chance denied by home keeper Tony Breeden. Richards cruised passed his man as he tried to break into the area before connecting well with a long ball, but his shot was palmed away by Breeden to deny him the opener. Chances for George Lloyd and James Waite followed, with Lloyd's header flicked wide and the Cardiff loanee saw his low driven effort turned around the post by the keeper. But in the 33rd minute Waite got his name on the scoresheet as he broke the deadlock. In a crowded box, an initial shot from Tom Owen-Evans was blocked by Obeng, but as the ball came back out, James Waite's strike beat Breeden to take the lead. Leamington had a couple of chances to equalise but failed to make the most of them, but on the stroke of half time they did pull themselves back level. Hereford had opportunities to clear the danger, but as the ball came back out Jack Edwards latched onto it and struck a curling ball into the top of Yates' net. Undeterred by the set back, Hereford surged forwards and a push on Tom Owen-Evans saw the referee immediately point to the spot. 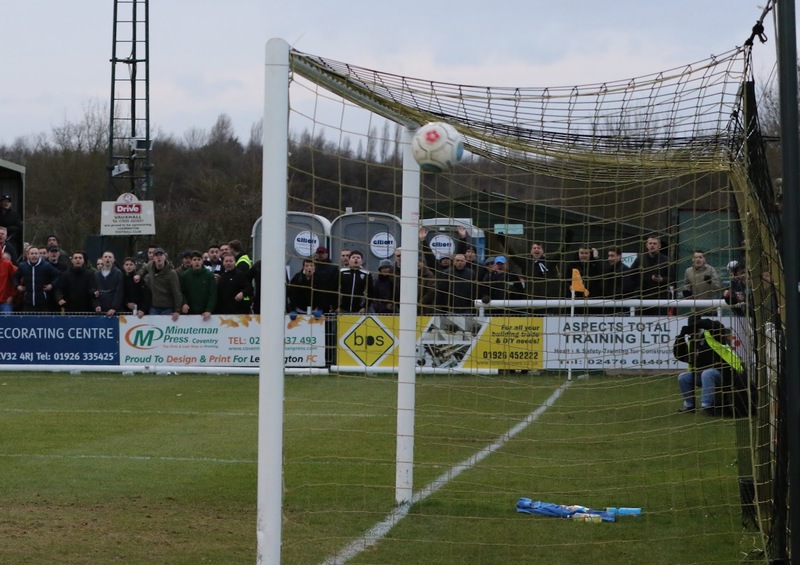 In first half stoppage time, up stepped Owen-Evans and he struck the ball past Breeden. 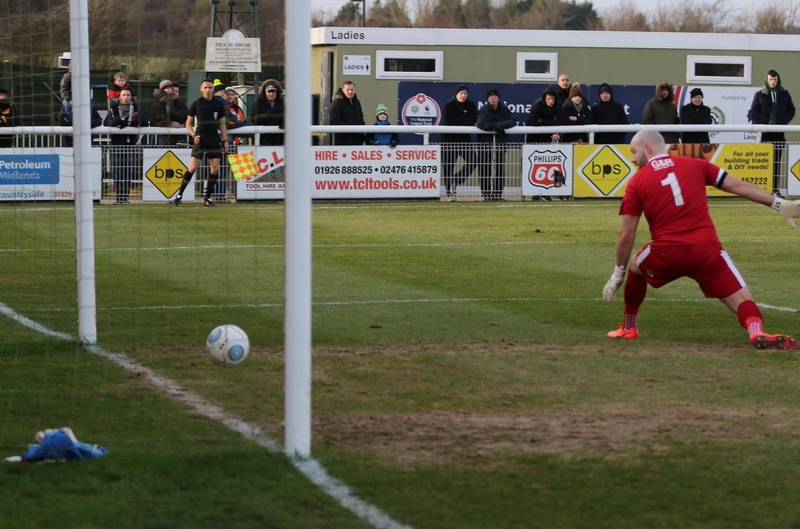 Despite going the right way, the Brakes stopper couldn't get his fingertips to the ball as the Whites retook the lead. 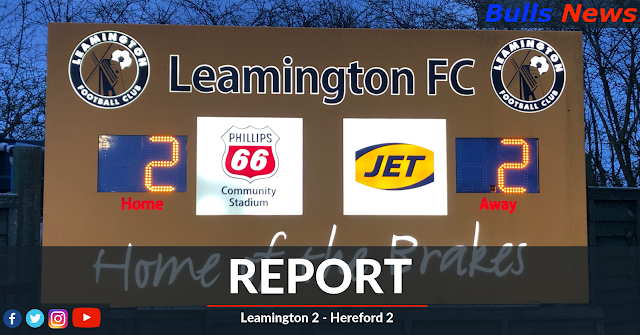 Under pressure at the start of the second half, the Bulls' lead remained intact despite a good piece of play from the Brakes. A free kick picked out the unmarked Callum Gittings at the far post as he headed the ball back across the face of goal but eventually it was cleared. 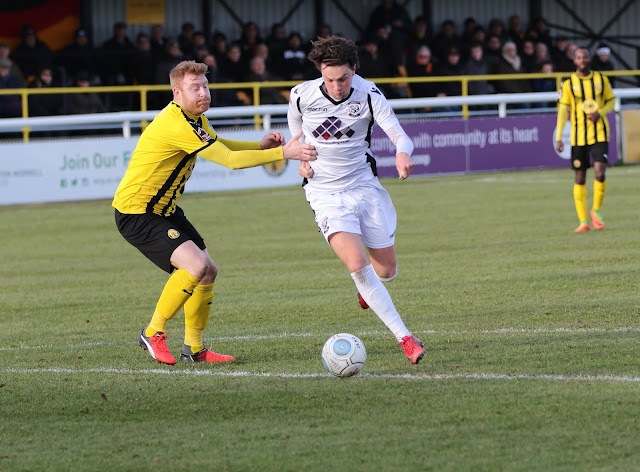 James Waite could've doubled the Bulls lead in the 51st minute as he linked up well with George Lloyd but he drilled his shot wide. 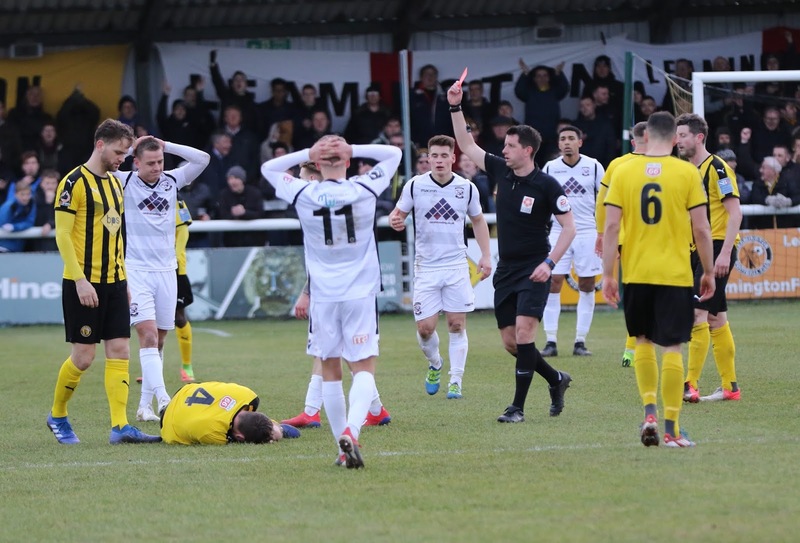 Ten minutes later the Bulls were served a sucker punch as Waite was shown a straight red. 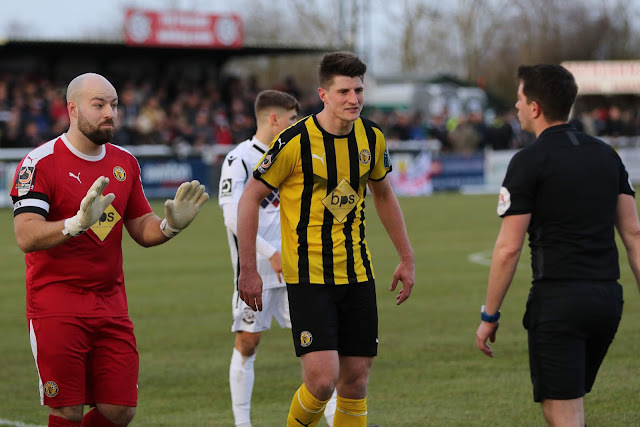 Having looked bright throughout the afternoon, Waite went into a challenge with his arm flailing and was dismissed by the referee. Shortly after Mike Symons came off the bench in place of George Lloyd and was relatively effective in holding the ball to bring others into play. Having a man advantage, the Brakes threw themselves forward in numbers. 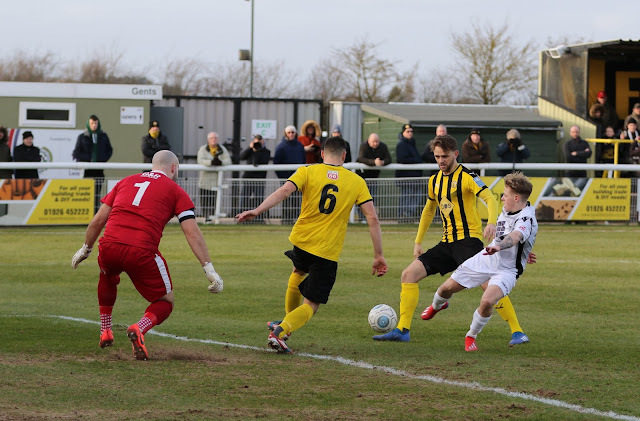 Jack Edwards has a good chance to equalise for a second time in the game, but the shot was stopped with a smart block from Jimmy Oates. 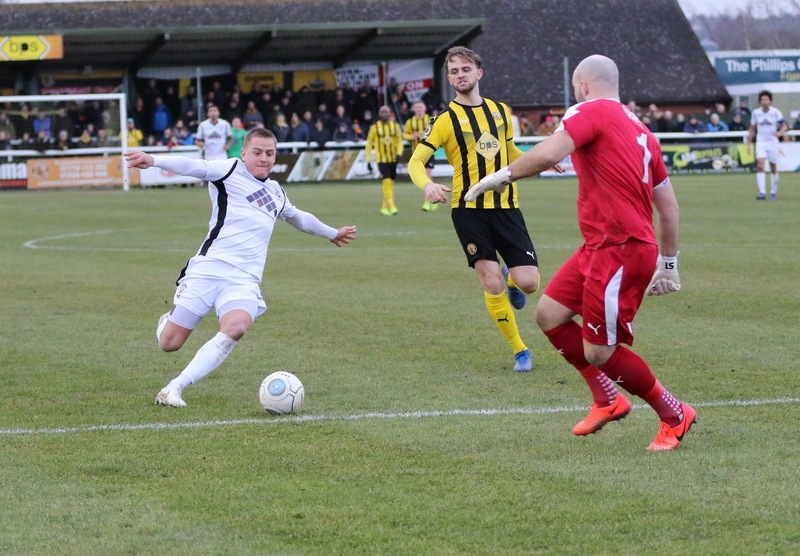 Despite large periods of possession over the ten minutes from the sending off, Leamington rarely caused problems for Matt Yates in Hereford's goal. 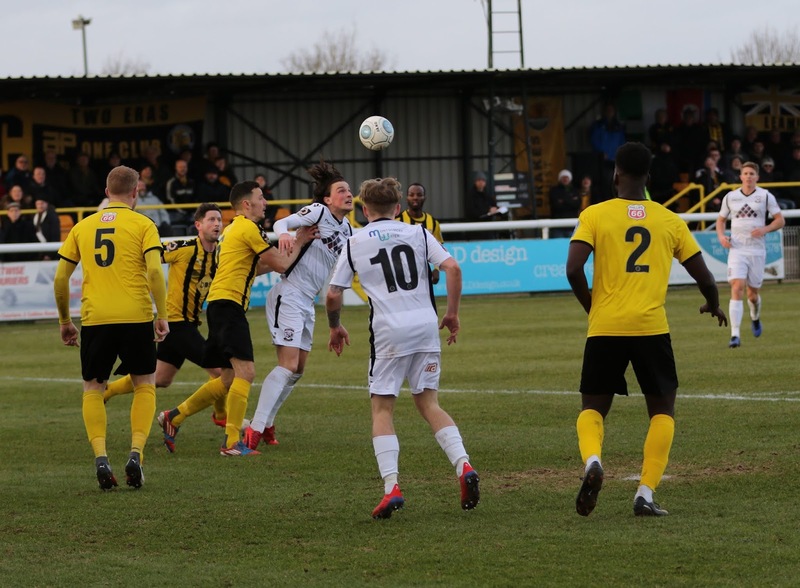 As the Bulls managed to regain control of the game, a rising shot from Eliot Richards in the 74th minute blazed over the bar. Moments later it was Richards again who went close to scoring. 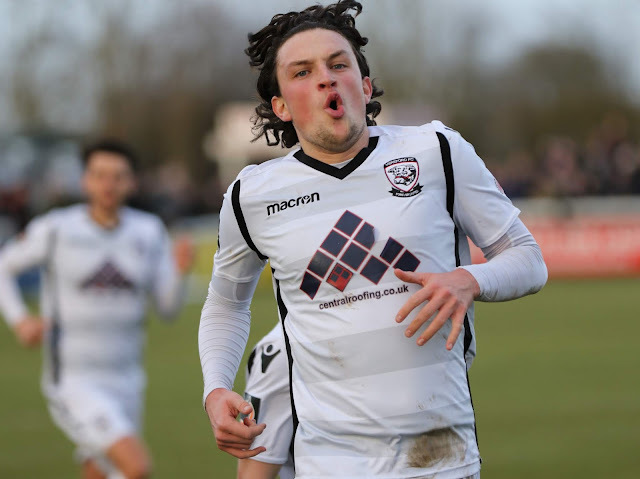 Sliding, he managed to beat the keeper to Owen-Evans cross field ball but his effort hit the side-netting. At the other end of the pitch Junior English played the ball low across the face of goal as he got onto the end of the corner, but no one was able to get a final touch on the ball to force it across the line. 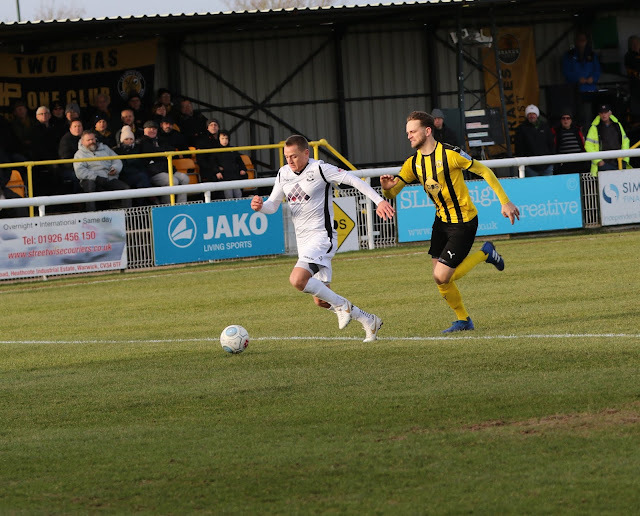 With 83 minutes on the clock Tom Owen-Evans was adjudged to have fouled Jordan Murphy in the box. Colby Bishop stepped up to take the resulting spot kick and sent Yates the wrong way to earn a share of the spoils. 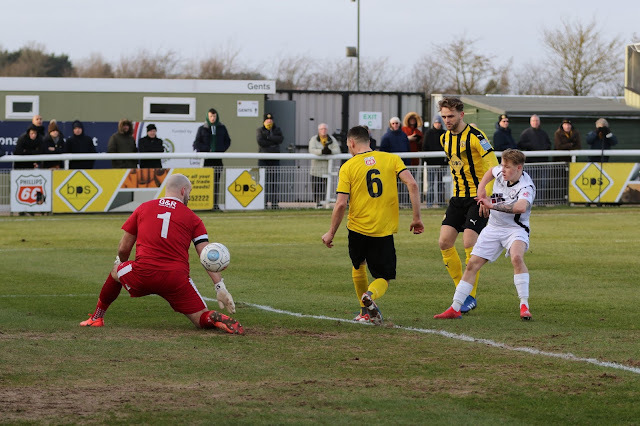 The Brakes weren't able to find a winner with a handful of chances late on, with Gowling blocking a shot on the line and an effort from Jack Edwards flying over the bar. 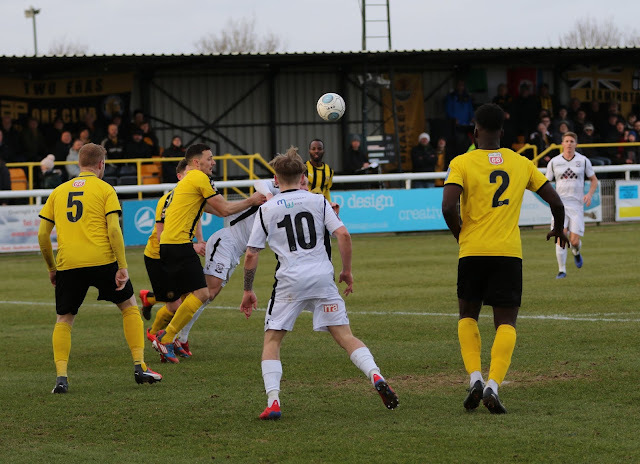 Leamington: Breeden (c), English, Lane, Clarke, Hood, Mace, Murphy, Gittings, Bishop, Edwards, Obeng. 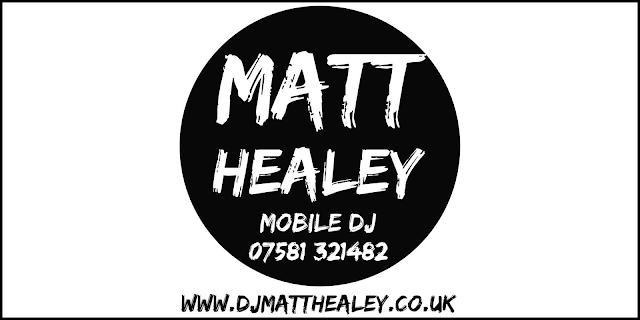 Subs: Gudger, Flanagan, Taylor, Wilding, James. 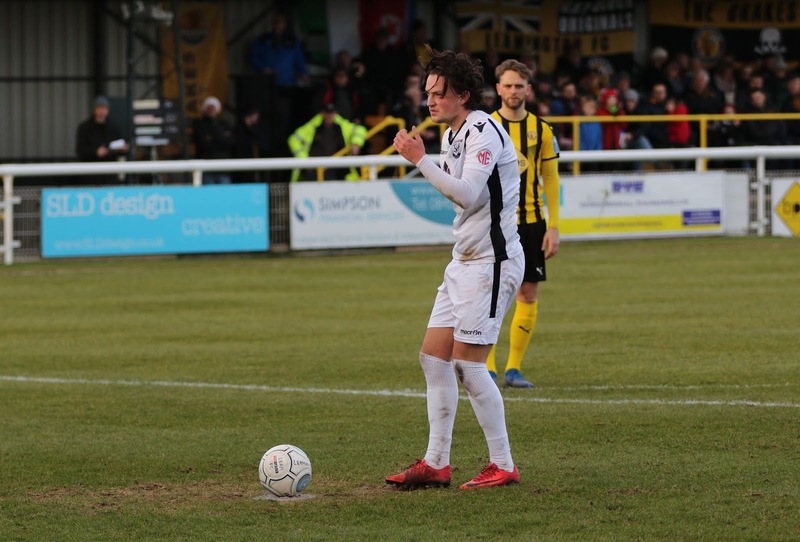 Hereford: Yates, Thomas, Greenslade, Cullinane-Liburd, Oates, Gowling (c), O'Sullivan, Owen-Evans, Richards (Finn 88'), Waite, Lloyd (Symons 67'). Subs not used: Smith, Wharton, Roberts.